Bazadais are a French cattle breed originating from Bazas, a little town south of Bordeaux. They first arrived in Australia in 1991, and have been growing in numbers in both stud and commercial operations for obvious reasons. They are a generous framed animal with great muscling, length, excellent growth rates, high fertility, good mothers, and are proven exceptional feed convertors with climatic adaption. The Herd Book for Bazadais Cattle was founded in 1896 by Mr. Marcel Courregelingur, the Mayor of Bazas, with the aim of maintaining the purity of the stock and extending it throughout the whole country. Historically, Bazadais Cattle were a draught animal used for working in agriculture and forests. Their geographical spread comes from the toughness and vigor as a working breed, used in France right up to the end of the 1950’s. Now the breed are cherished as part of the regional heritage, and each February there is the ‘Fete Des Boeufs Gras de Bazas’ or/ Feast of Fat Bulls where Oxen Cattle are decorated with ribbons and flowers, then paraded through the streets of Bazas to the beat of fifes and drums, a tradition which dates back to the year 1283, before a great evening feast in all the local bistros and restaurants. We are a small stud breeding for temperament, growth and excellent meat quality and yield. 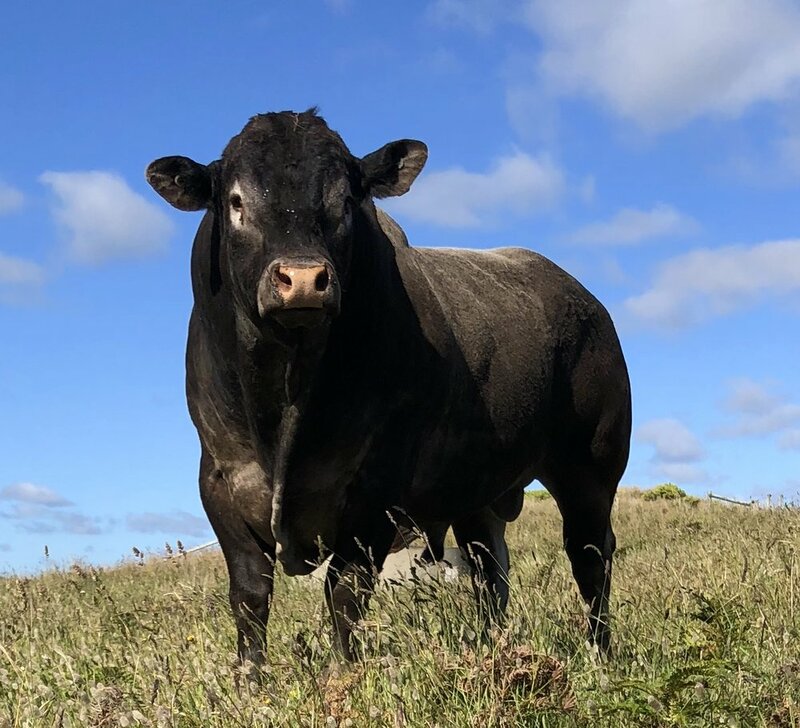 Because we also sell cross bred Bazadais beef we only use superior genetics for creating even better beef, and encourage other cattle producers to consider putting these genetics in their herd. Contact Ros if you wish to visit the Bazadais on farm.